Manufacturer & Exporter of a wide range of products which include Garment Assessories. Size Tassel 8" & Loop 2.5"
Size 4" & Hanger 2". Size Tassel 6" & Hanger 2"
*Lower price compared with others. *Any size & colour we can make. *Size according to customer request. 3)Size according to customer request. 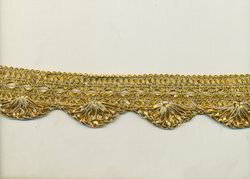 Keeping in mind the latest fashionable requirements of our esteemed clients, we are manufacturing and supplying an alluring range of Zari Lace. Our offered lace has become the first choice of our valued clients as it is designed with current fashion trend that have gain the attention of everyone. 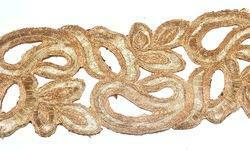 The provided lace is highly appreciated by our valuable clients for its glossy finish and mesmerizing pattern. Size could be done as customer's request. 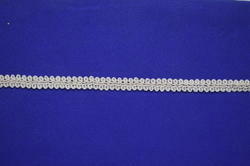 We bring forth a beautiful and designer range of Decorative Laces. 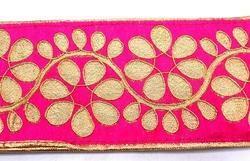 These laces are available with intricate designs and embroidery to attract the maximum customers. The entire range exemplify the hard work and skill of the talented artisans. These laces beautify the entire look of any attire. Manufactured with perfection, these laces are widely appreciated by the maximum clients. We are offering garment laces. We are leading manufacturer, supplier and exporter of garment laces. 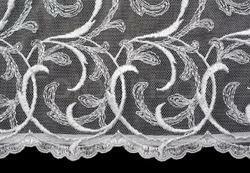 Including this product , we have many products in laces like embroidery lace,cut work lace,brocade lace,velvet lace,dyeable lace,handwork lace,digital print lace,fancy border lace,kundan lace,mirror lace,saree lace,schiffli lace,designer cutwork lace,gpo lace,beaded lace,embroidered beaded lace,gota lace,raschel laceafrican rashel lace and many more. Looking for Garments lace ?